Home / Celebrity / Movies / Music / News / Poltics / Small Doctor, three others for the unlawful possession of fireman. Small Doctor, three others for the unlawful possession of fireman. 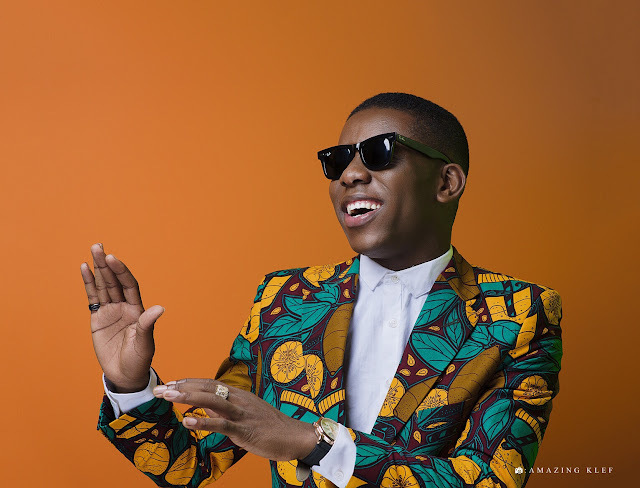 The Nigerian police on Monday arrested rising musician, Adekunle Temitope, a.k.a Small Doctor, and three others for the unlawful possession of fireman. The Commissioner of Police in Lagos State, CP Imohimin Edgal, told newsmen that the suspects were arrested after threatening to shoot policemen controlling the traffic at the ever busy Oshodi area of Lagos. Edgal said that he was disappointed with the musician’s conduct because he had a case with the State CID, Panti for shooting a gun at his Agege show where he injured four persons. “You would have thought the incident would caution him but surprisingly today, I got a situation report from traffic monitors at the Oshodi expressway about four unknown gunmen in green unregistered SUV. “He (Small Doctor) allegedly brought out a weapon and threatened to fire the policemen. Fortunately the DPO and other policemen at Shogunle intercepted the suspects and arrested them. “When they were brought here it was discovered that one of them was the same Adekunle Temitope a.k.a Small Doctor with three others and they were arrested with a functional rifle, a cartridge and some personal items. “I am concerned as one will expect that a popular musician like him would be a role model but his character of gangsterism is nothing to emulate,” he said. The CP further urged celebrities to stop involving themselves in issues of gangsterism and conflicts that do not portray their image positively. “You will recall that the Inspector-General of Police, Ibrahim Idris, have a window period for submission of all firearms as all licences had been canceled and all approvals suspended. “I have directed that the case be properly investigated and they will be charged for threatening violence on policemen and being in possession of forearm,” Edgal said.